Teams should consider their season a success if they learned something new and had fun in applying their knowledge and skills to the VEX EDR Competition. Events provide a great opportunity to share and recognize the accomplishments and contributions of the student participants! This section details the full list of awards presented in the VEX EDR Program. Most local and regional events will offer a small subset of these awards, based on the number of teams at their event. The only event likely to present each and every one of these awards will be VEX Worlds, as warranted by the hundreds of teams participating. The awards presented at each event are chosen by the event planning committee with the help of their Regional Support Manager. 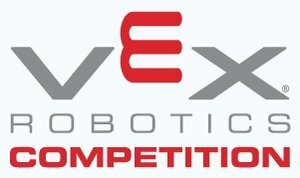 A full list of the awards that may be presented are detailed at http://www.roboticseducation.org/documents/2016/08/vrc-awards-appendix-d.pdf. Below are the awards that are typically awarded each year. The Inspire Award is presented to a team that has inspired judges with their approach to competitive robotics. This team will effectively communicate their passion for the VRC program and maintain a positive attitude throughout the event. The team will have a clear vision for their future and will participate with both a high level of integrity and good sportsmanship. This team demonstrates that they believe they can achieve what they set out to achieve through their diligence.